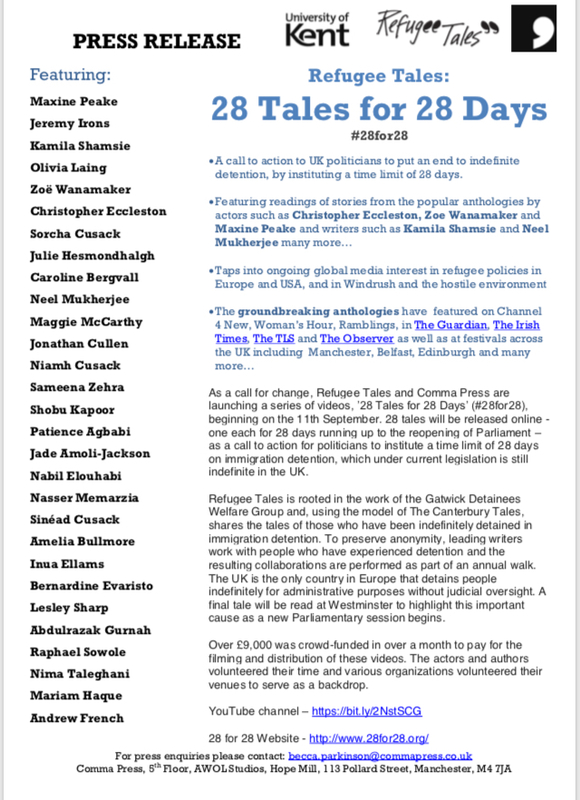 Jeremy Irons is a participant in Refugee Tales’ 28 Tales for 28 Days. The campaign is a call to action to UK politicians to put an end to indefinite detention, by instituting a time limit of 28 days. As a call for change, Refugee Tales and Comma Press are launching a series of videos, beginning on 11th September 2018 with a video featuring Jeremy Irons. The video will go live at 6:30am UK time.